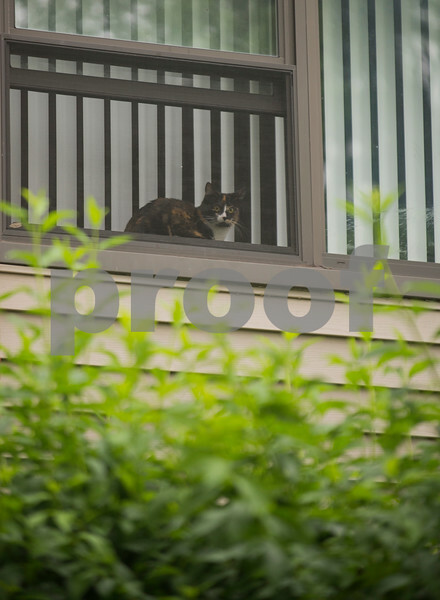 A cat watches a courtyard from a window at Ridgebrook Apartments in DeKalb. Several arson fires have been set at the building at 808 Ridge. Hunter Properties, the company that owns the building has initiated new security measures in response to the fires.